While her grandfather is reunited with the woman he once saved, she is reunited with the man she once loved. Thirty-six-year-old Ava Andrews life interrupted by an unusual request fulfill her 83-year-old grandfather's last wish by joining him on a battle-site tour of Europe. Ava and Grandpa Jack arrive in Europe and meet up with Paul, her grandpa's best friend, and his grandson Dennis. The Dennis who just happens to be Ava's first love. Before she knows it, Ava and Dennis are swept down memory lane as they visit the sites that are discussed in the history books. While interviewing the aged soldiers, Ava finds the Jewish woman whose life her grandfather saved when she was just a small girl. As Ava begins to understand the things that made her grandfather the man he became, she's also given a second chance at love. 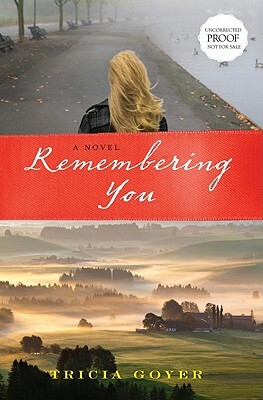 Based on a true story, Remembering You is a moving story about how history can change our future.